In addition to the selection of both rubbers, the gaming properties of this professional allround table tennis bat may also be configured by varying thicknesses of the rubber (see hints in the detailed description)! 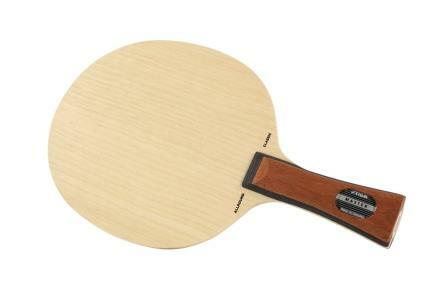 The professional allround table tennis racket is our recommendation for the change from hobby player to club player. This TT bat provides lots of feeling with respect to the ball, has an optimal weight, and can be configured due to your individual strengths and weaknesses. Please note the options for pre-selection: Because of our experience, the forehand rubber is somewhat faster than the backhand rubber. What is a professional table tennis bat? A professional allround table tennis bat is defined as a racket, which will be compiled individually according to the desires of a club player. This is actually done by the TT player him/herself, or by a table tennis shop you trust. For this, you choose a blade, as well as a red and a black rubber. Professional table tennis blade: Stiga Allround Classic As beginner, junior coach or club player (controlled style), there is not much you can do wrong when choosing the Stiga Allround Classic. The fivefold glued veneer combination (Limba and Abachi) is the most popular and most proven blade design. Due to the fine-tuning of the individual veneer thicknesses, the gluing technique, and the storage period of every single veneer layer, a perfect allround blade was created. For those reasons, we chose this blade for our professional TT racket. The rubber "Donic Quattro" is very popular for many years now. This is because it can be used very variably. As also available in the recommended pre-selection, its thickness of 2.0 mm results in a controllable, spin friendly topspin when optimally hitting the ball. In a passive way of playing, the Quattro offers the perfect control you need. A big advantage of this rubber is the long-lasting contact time between bat and ball, resulting in a very good ball feedback. This also results in good properties regarding control. As it may be evident, there is no "real" single professional table tennis racket. To the contrary, this word is more a creation of players seeking for a good bat when playing with ambition and/or when starting in a club. Due to our experience, the rubber provided here, combined with the Stiga blade, is just perfect to fulfill the wishes of many players: Finding a top quality, but also inexpensive table tennis bat. 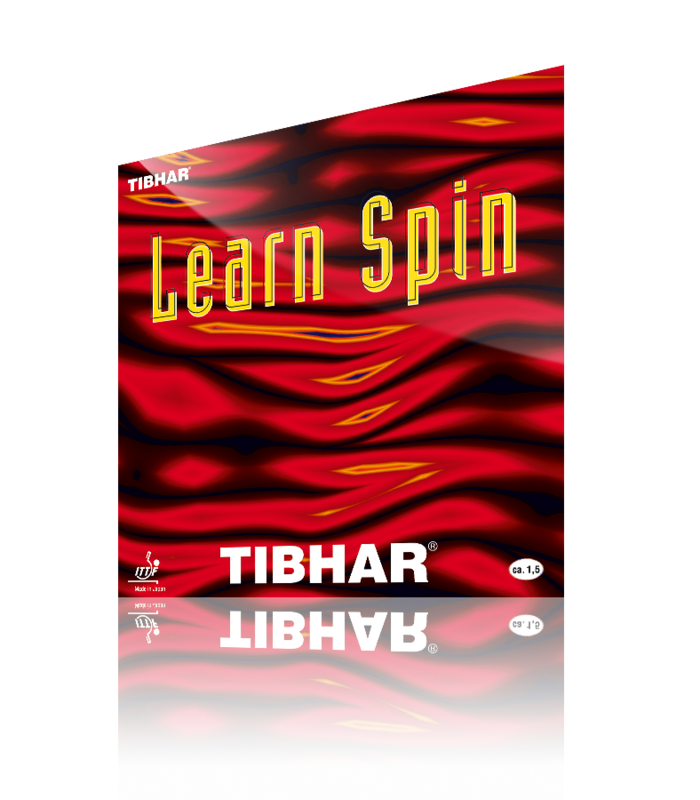 The Tibhar Learn Spin has a standard price of 14.99 Euro. You recognize, of course, that our price of 49.90 Euro is more than fair, considering that this price contains 2 rubbers, plus the Allround Classic blade. The only remaining question is: Shall it be this rubber, or the Donic Quattro? Tibhar is one of the top selling brands in the world of professional table tennis. People who are using the Tibhar Evolution EL S master most techniques perfectly and always want the very best, with every single hit. The properties of the Tibhar Learn Spin are: A soft allround rubber, and a catchy and non-slippery surface. Compared to the Donic Quattro, the Tibhar Learn Spin is lighter, but also slower. Because of this, the Learn Spin does exhibit a bit less spin and less penetrating power. The biggest advantage of the Tibhar rubber is its low price. All basic techniques can be acquired using this rubber. Furthermore, the whole bat qualitatively superior compared to other finally assembled (ready-to-buy) bats when combining it with the Learn Spin rubbers. Everybody with high motivational levels, ambitions, and a regular training should directly choose the professional table tennis bat as pre-configured here (2xQuattro rubber). This is the concrete recommendation of TT-SHOP.COM. It is exactly this bat which is sold very frequently, and after having received much feedback from our customers we definitely can really tell you it is worth it! For the professional table tennis racket, standard settings regarding the rubbers´ thickness were configured by TT-SHOP.COM in such a way that the forehand rubber is somewhat thicker and faster than the backhand rubber. The backhand rubber is thinner and provides better control. For those reasons, this bat is highly suitable an allround player, who´s game is based on control and safety. The material offers perfect properties in order to play forehand topspin. A passive gaming style is easy to play with the backhand. The handle of the TT bat is flared (thick), since most club players (85%) prefer this geometry. To enable beginners to get a good bat for little money, we reduced the price of the Professional Allround TT Bat, including all of its variations. Provided the Tibhar rubbers are selected, this bat only costs 49.90 Euro. A price below the level of many finally assembled (ready-to-play) bats, which are of lower quality and known for problems when changing rubbers (those are very sticky with respect to the blade). By choosing the rubber "Donic Quattro", there is even a another step possible. This rubber is, compared to the Tibhar rubber, superior with respect to its quality. It is also faster compared to the Friendship rubber. 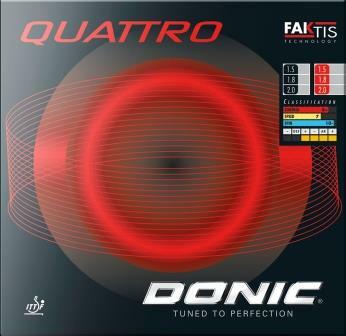 When mounted on both sides, the Donic Quattro is an important ingredient for a perfect allround bat, for just about 69.90 Euro. By the way, most players use a red rubber for their forehands, and a black one for their backhands. But this can be chosen individually, no problem. Some remaining tips: One thing we definitely recommend is to seal the blade. Doing this, mounted rubbers can easily be removed (without sticking too much) and renewed. If you train intensively, you will make progress and your material must be adapted according to the progress your make. For example, you may need a rubber in the future which is faster, providing more grip. In such a case, you can renew your old rubbers by the new ones, without having to buy a completely new bat. It is not a secret that there is no professional TT bat perfectly suitable for everyone! Rather, table tennis brands lead a real battle among themselves: Due to the competitive character of the business, manufacturers go extremely into detail. As a consequence, there are more than 30 new rubbers on the market each year. Including all rubbers from China, rubbers with pimples and anti topspin rubbers, this number even grows to over 50 new rubbers available each year. These differ with respect to certain details (e.g. varying jump/rebounce behavior, a 40 or 42° sponge, medium hard or hard upper rubber layer, and many more), but only professional club players note this, since they are experienced for several years. This causes two effects. First, it is an advantage for players who like to try new settings, it is never getting boring so to speak. Second, it is also a disadvantage, since the gigantic offer of rubbers, blades, and maybe even new gluing, causes confusion among many customers. At www.tt-shop.com we are having another strategy, we are clarifying and enlightening. Our service is structured in such a way that all of our product descriptions are written by our own. Our compiled professional table tennis rackets (= where you can buy 2 rubbers and the blade separately) were configured in such a way that they are attuned to a certain gaming style. As already mentioned, the professional TT bat provided here is suitable for players who are starting their career in a club, resembling the allround style. It is our best seller, and there were no complaints regarding this bat at all. The following alternatives are not different to each other with respect to their quality. Quality is provided for every single professional table tennis bat listed below. It is rather an aspect of suitability, which may differ depending on individual needs, disposition, and development potential of a player. But please, keep reading and choose which alternative may be relevant for you. Due to our experience, most passionate hobby players, long-standing allrounder, and/or career break returners perform very well with this product. Stiga Allround Premium Spin: better than common bats from the store, winner of the price-performance ratio! 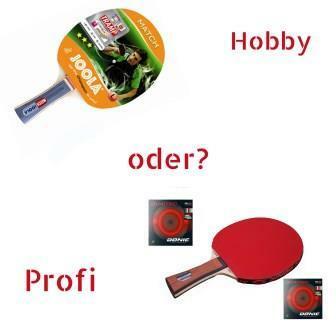 Professional Table Tennis Bat Allround: Bestseller at www.tt-shop.com, suitable for allrounders, career break returners, and for club starters. Sponge thickness of the rubbers (responsible for speed) may be adapted at this bat. 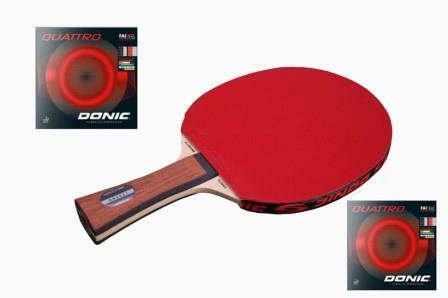 Xiom Intro Classic: Blade and rubbers are somewhat faster compared to the Professional Table Tennis Bat Allround, style: Allround plus. Rubbers exhibit a slight speed-glue-effect. Perfect for the transition from ALL to OFF. Stiga Aurus Carbon: Compromise between speed, spin, and control. Style: controlled offensive.